So I got back to St Louis today for the start of spring semester. After a vacation in lovely Savannah, GA where the high today was 78, I’m listening to it rain as the temp drops to 28 and the roads freeze. 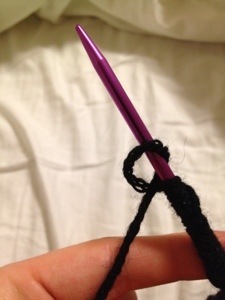 Good thing I don’t have to drive anywhere and I have knitting to keep me busy! So after my sweater post yesterday, I decided that I was going to take a break for a fun project. 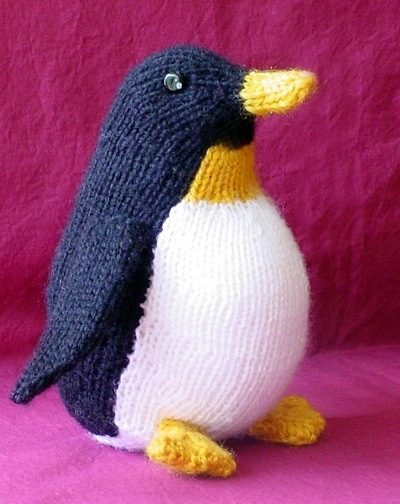 I found this adorable penguin pattern at knitty.com which is another great website that I’d highly recommend to you fellow knitters. 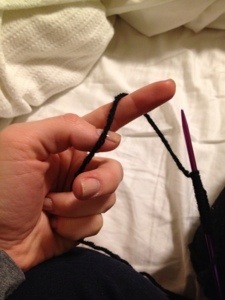 It’s an online knitting magazine with frequent technique articles and free patterns (which as I’m sure you all understand are pretty much the best thing ever- after free yarn I guess but that doesn’t really exist…). Here’s what the penguin should look like when I’m done. 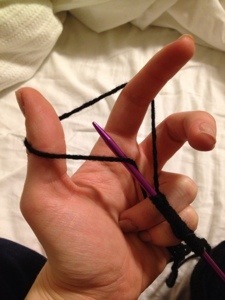 Well, that’s how I learned to cast on. 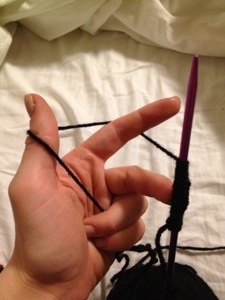 I just ordered The Principles of Knitting so I’m hoping to expand my repertoire. How do you guys cast on? Do you know more than one technique? And where did you learn it? 1/24/13 edit: Hey everyone! The penguin is now completed! Check out the rest of the process from casting on to completion by going to the home page of my blog. 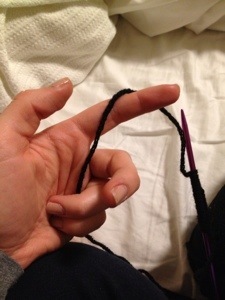 I am the one who knits.